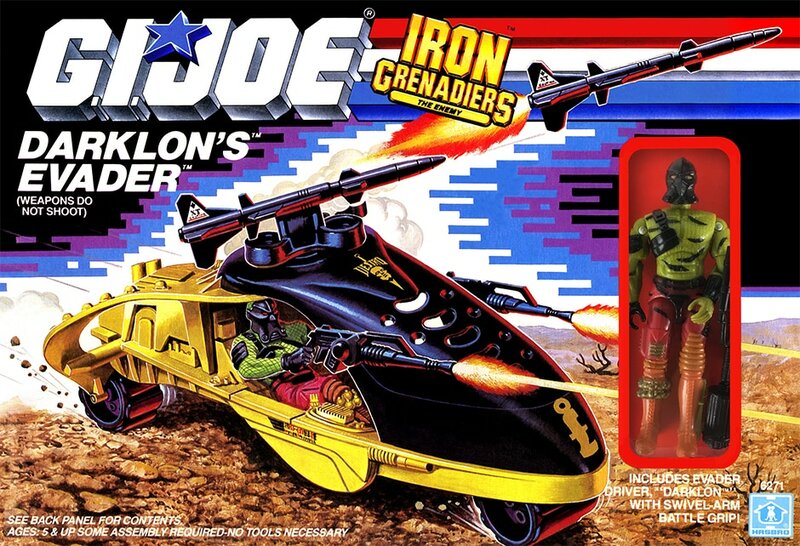 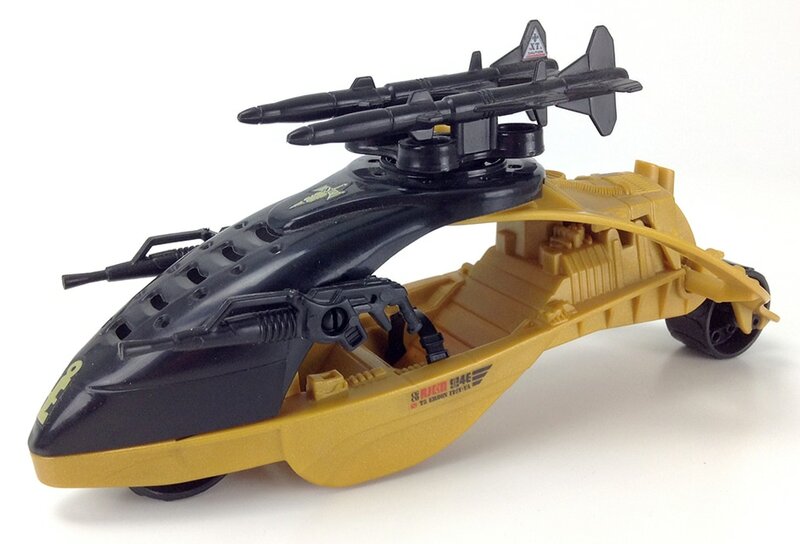 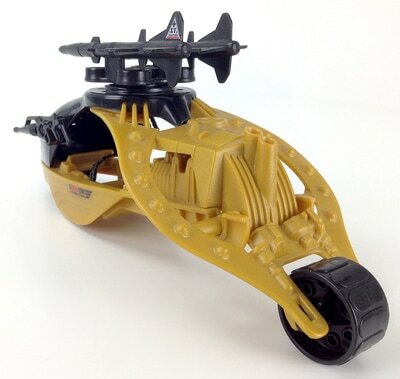 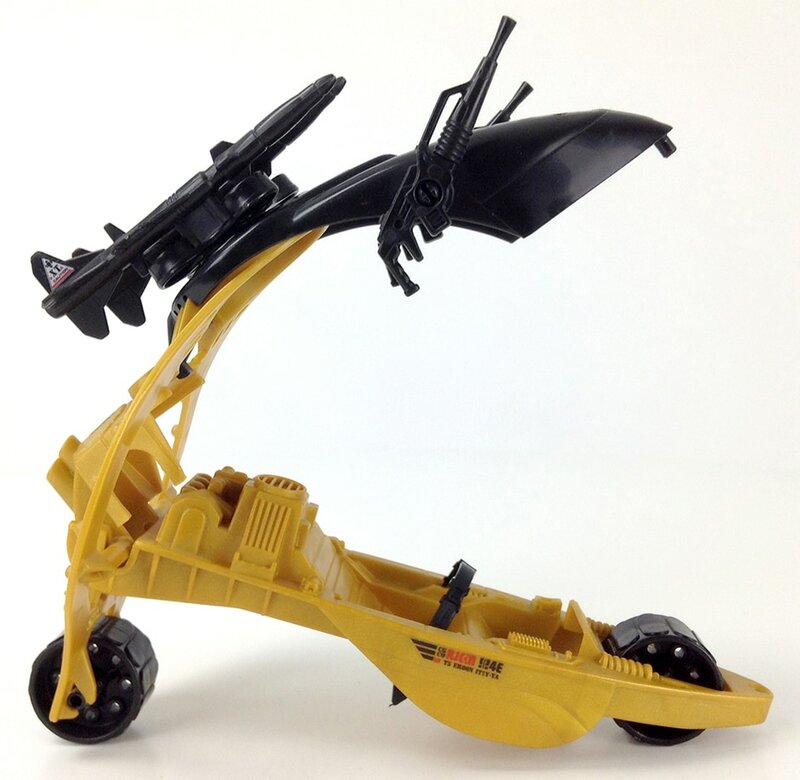 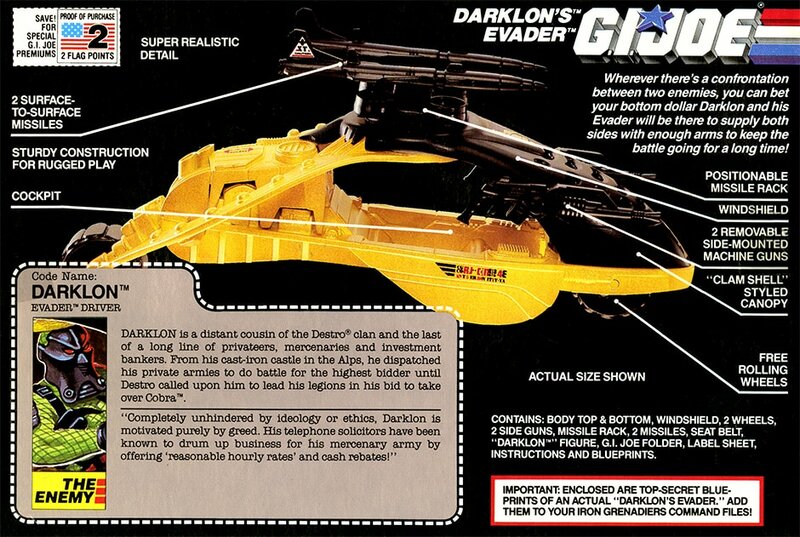 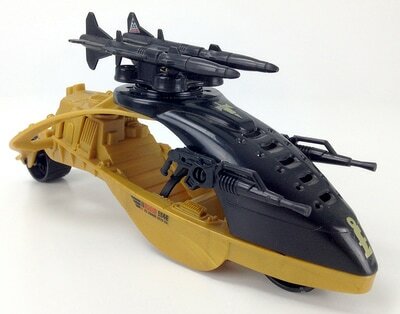 Darklon's Evader features a "clam shell" styled canopy armed with two surface-to-surface missiles and two removable machine guns. Darklon's Evader features several moving and removable parts, and the sculpt is nicely detailed. 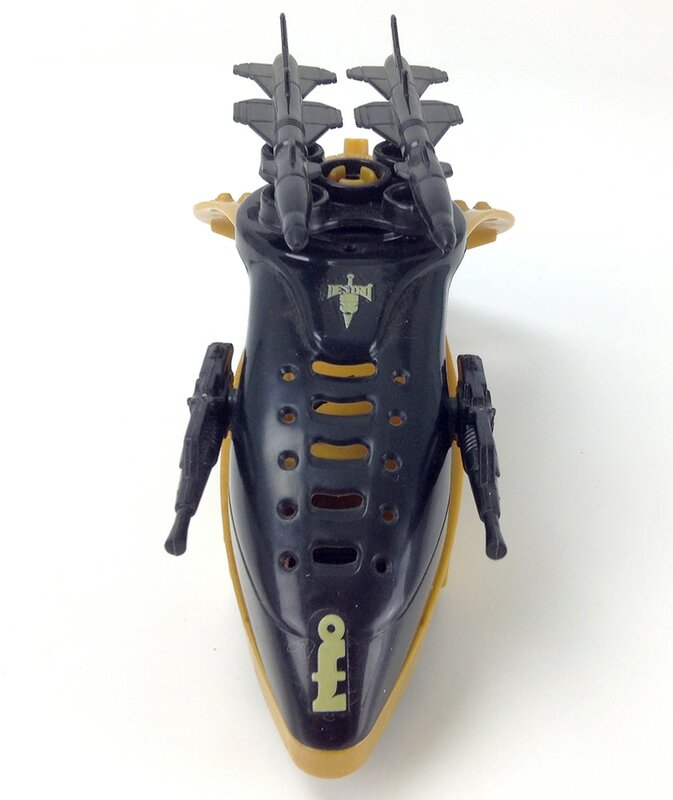 The "Black Hood” ballistic deflection clam shell shaped canopy features minimal ballistic entry canopy protection vision ports. The canopy is controlled by a hydro-pneumatic elevation system. 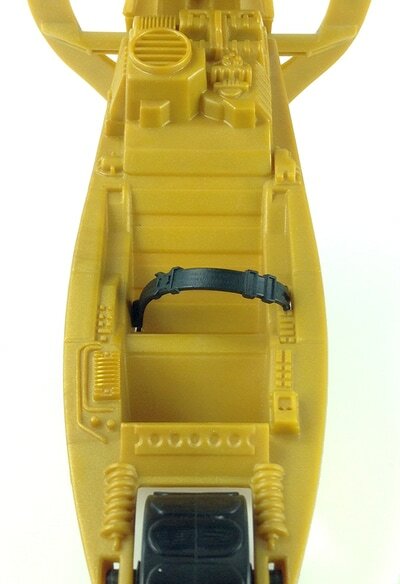 The canopy/vehicle hydro-pneumatic elevation system can hold in the open position. 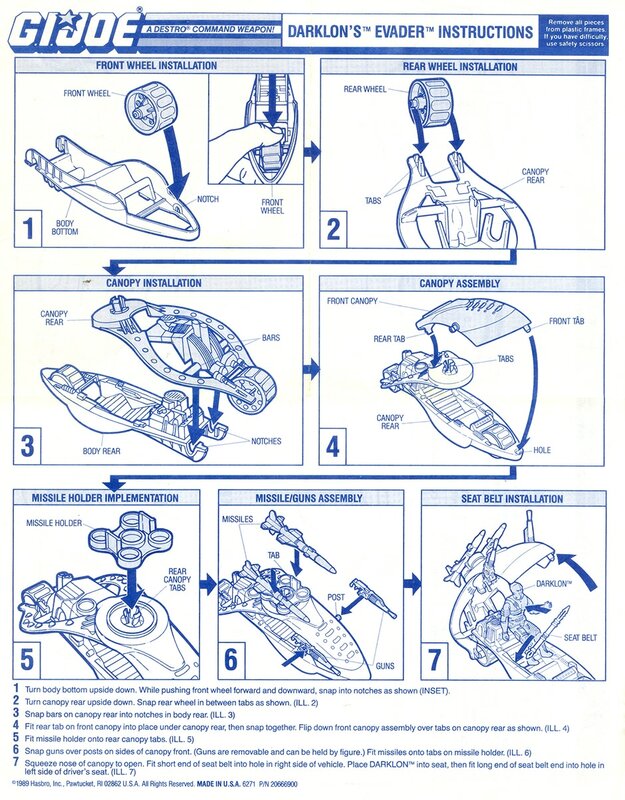 Inside you'll find a reconditioned customized bio-form “Evader” command seat and seat belt. Behind the command seat sits a 325 HP dual turbocharger multi-fuel turbine. 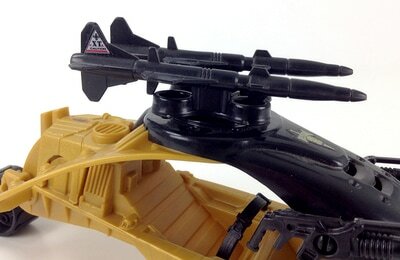 Atop the canopy you'll find a rotating infrared thermal imaging scanner radar/missile rack, housing two “Pursuer” terminal-homing stinger-type surface-to-surface missiles. 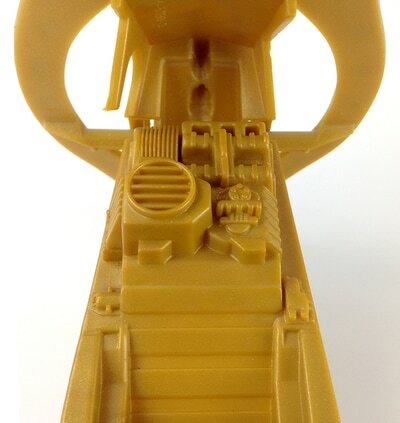 Two pivoting “Eliminator” 9MM removable machine guns adorn the sides of the canopy. 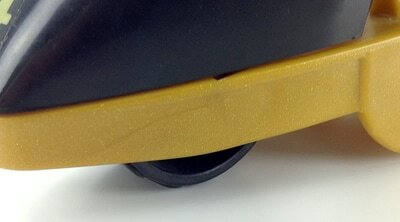 Auto-seal self-inflating ultra-wide stance rear tire. Ultra-wide stance puncture-resistant front tire, largely protected by the canopy. 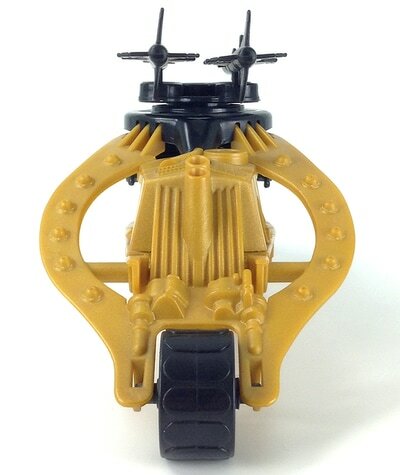 Side-mounted armor shields provide protection and help keep the vehicle upright. 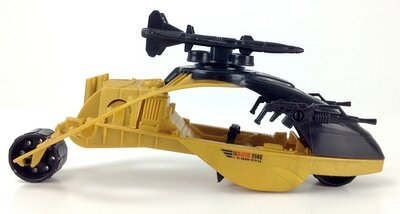 Note the dual port engine exhaust and Cobra shaped body. 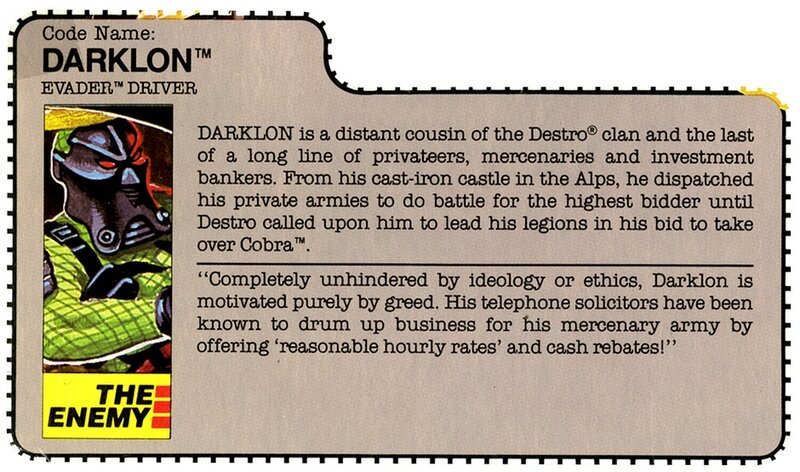 Darklon was the next in a long line of key Cobras sold with an alpha (or lower price point) vehicle. 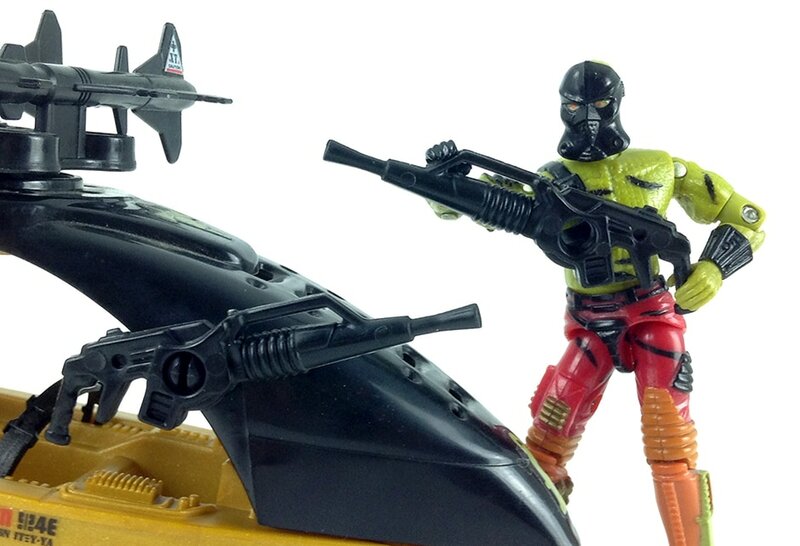 Like Zartan, Serpentor and Destro v2 before him, Darklon was a completely new sculpt with detailed paint apps, and he came with one heck of a gun. 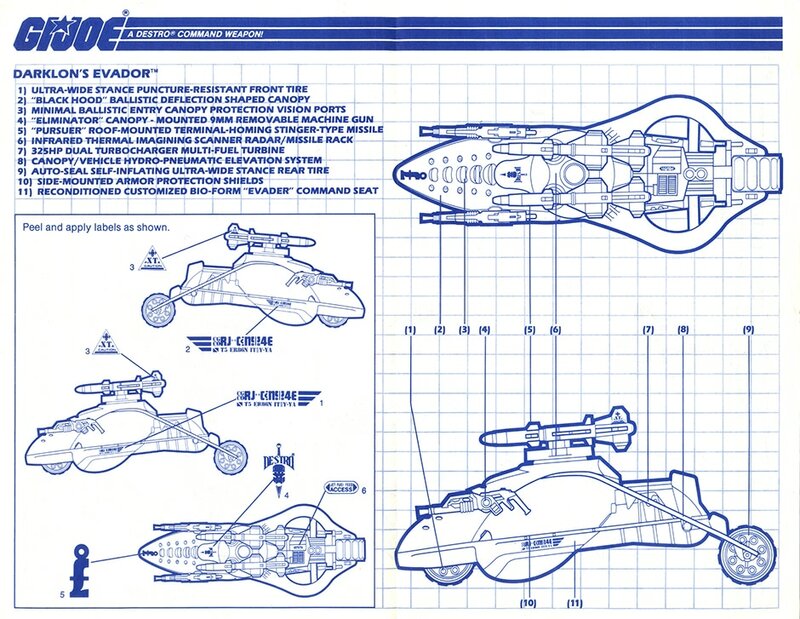 Evader blueprint/instructions courtesy of Tim Dz.